Did Jesus leave proof of the Resurrection? The Shroud of Turin is one of the most misunderstood artifacts known to humanity, however it is also one of the most rigorously investigated. This book deciphers the three-dimensional information encoded within the image of the Shroud of Turin, which has baffled scientist, chemist, and theorist who despite all their examinations, debates, and annalistic data, cannot explain the mechanics of the image, or what caused the image to appear. Many mysteries concerning the Shroud's image are now identified. The follow-the-light-method also provides the most accurate portrayal of the man who rested underneath the Shroud. This journey incorporates over thirty-years of determination through experimentation. The author discovers the Shroud's image is a blueprint that produces its own three-dimensional sculpture with astonishing new details never before realized. This documentation permits the reader to experience the events that explain the enigmas of the image-producing process, within an easy to follow storyline that powerfully exposes the hidden truth behind the creation of the Shroud's image. The artistic-process is explained in detail, so that any artist may duplicate the follow-the-light-method and verify all of the evidence that this book contains. The conclusion remains thought provoking and relinquishes all of this evidence to the hands of the reader to determine if the Shroud of Turin, is in fact, the Shroud of the true historic Jesus. What information can possibly be new, regarding the Shroud of Turin, that is not already out there? This is a recent question posed to me, concerning books about the Turin, Shroud, which started me thinking of an appropriate response. 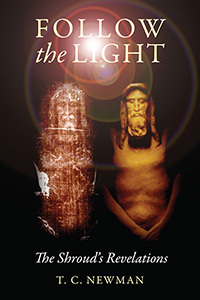 Follow the Light, is unlike any other book written about the Shroud of Turin. It is not about its history, its physical make up, nor is it about a theory of how some creative genius somehow fooled the world by manufacturing this image. This story is a narrative, which examines the Shroud from an entirely new perspective. Looking at the image from an artistic point of view and experimenting with the results led to new and surprising revelations. The Shroud of Turin has many unseen secrets,which remained hidden until now. I documented my findings as a narrative storyline based on true events, which led to solving many of these mysteries and connecting the mechanics of how the image occurred, when the image occurred,and realizing the true appearance of the man of the Shroud, before the crucifixion. 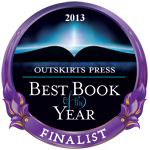 I hope the reader will experience the same element of surprise as each mystery unfolds. I am hopeful that science will use this information to enhance research into the still-unsolved mystery of what energy created the image on the cloth.